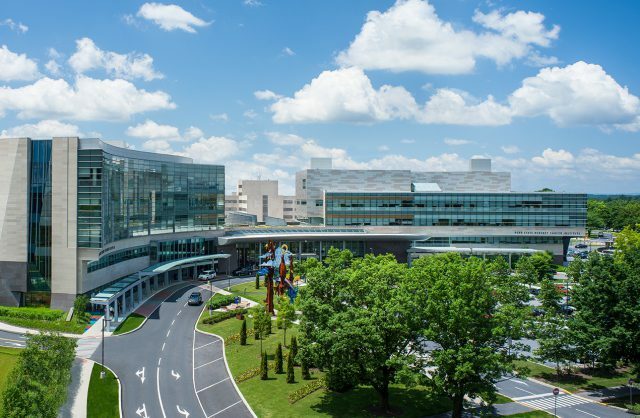 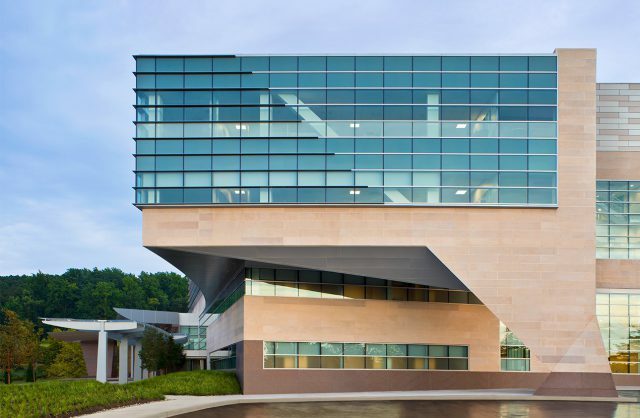 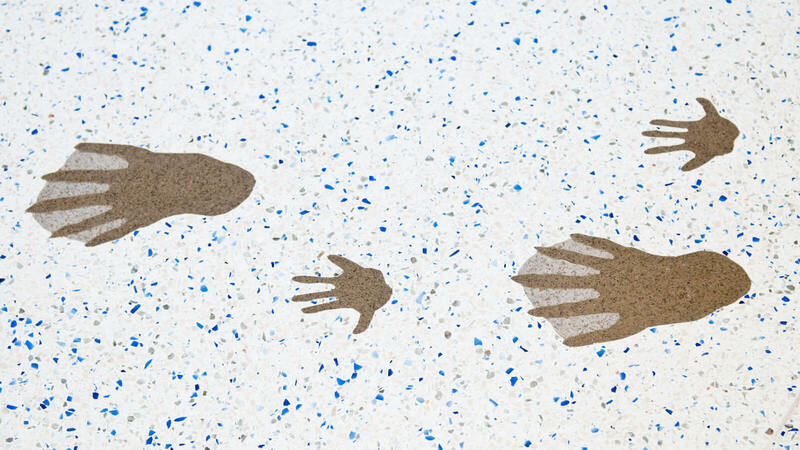 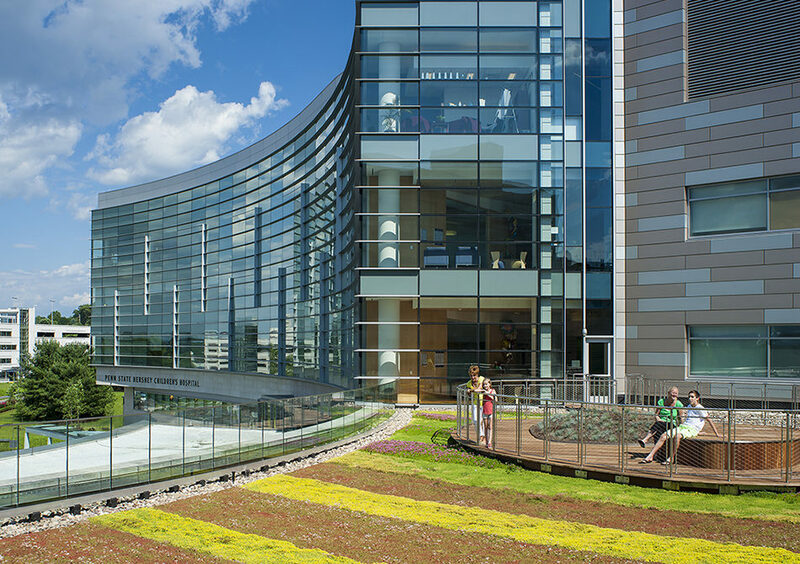 The opening of this Children’s Hospital marks the completion of a ten year transformation of the Hershey Medical Center campus that began with its Cancer Institute. 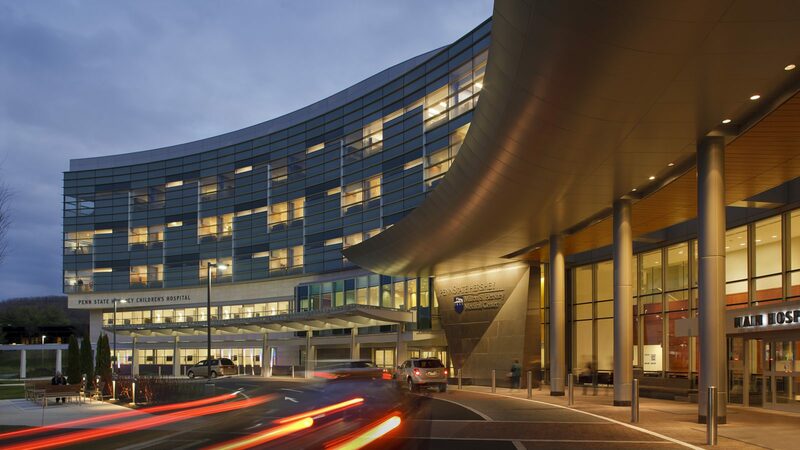 The new five story facility consolidates and expands services, integrating 72 inpatient beds, six operating suites with associated pre- and post-operative care areas, a pharmacy and clinical labs serving the whole medical campus, and an outpatient hematology/oncology clinic. 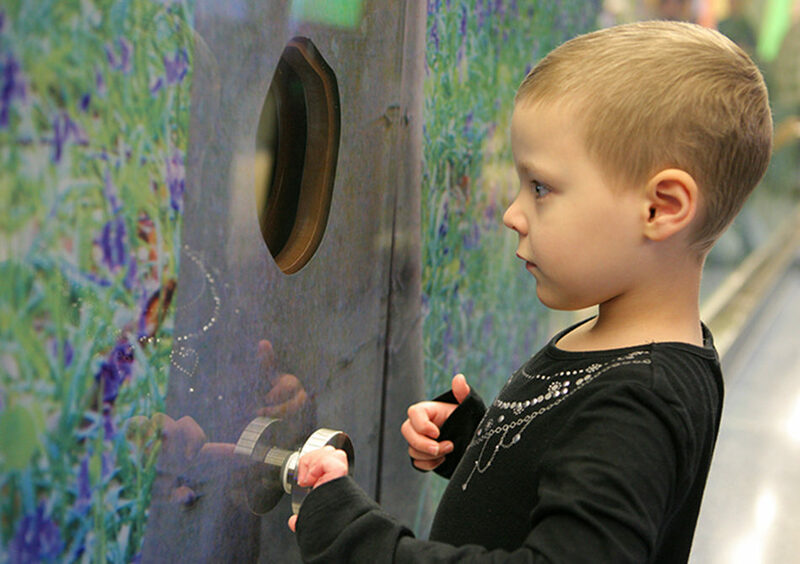 Here, children and their families find a place of hope and healing. 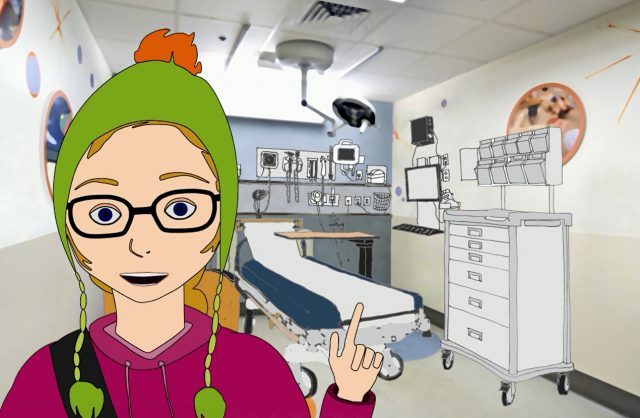 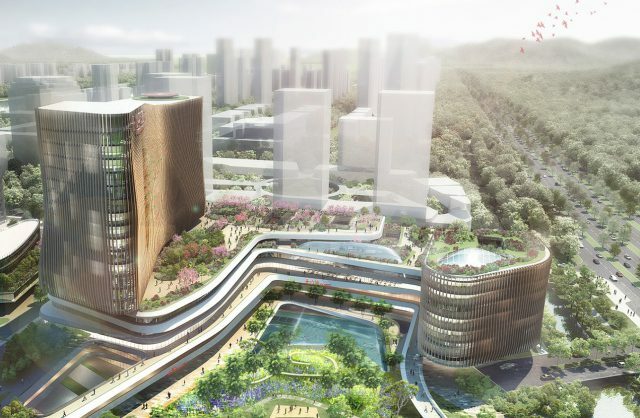 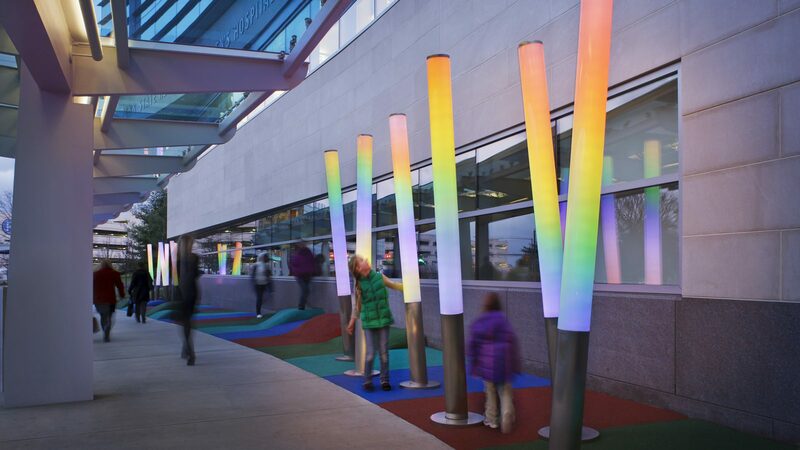 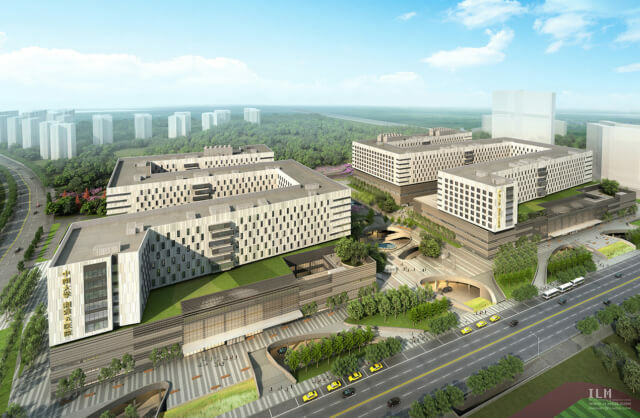 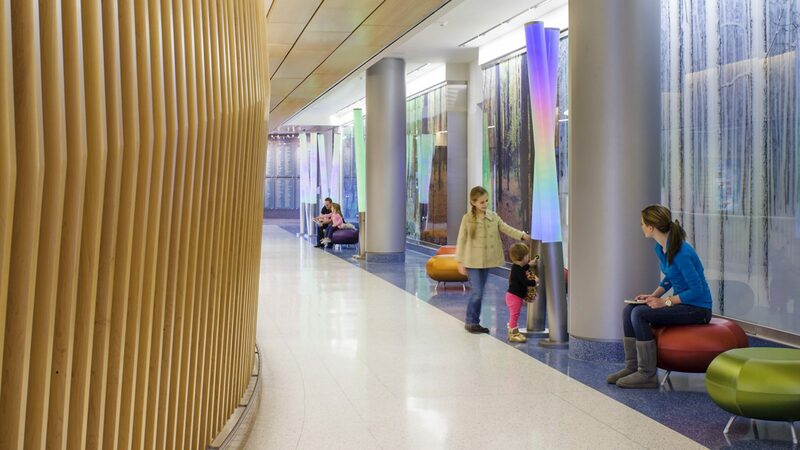 What does ‘Theme-Driven Design of a Children’s Hospital’ mean? 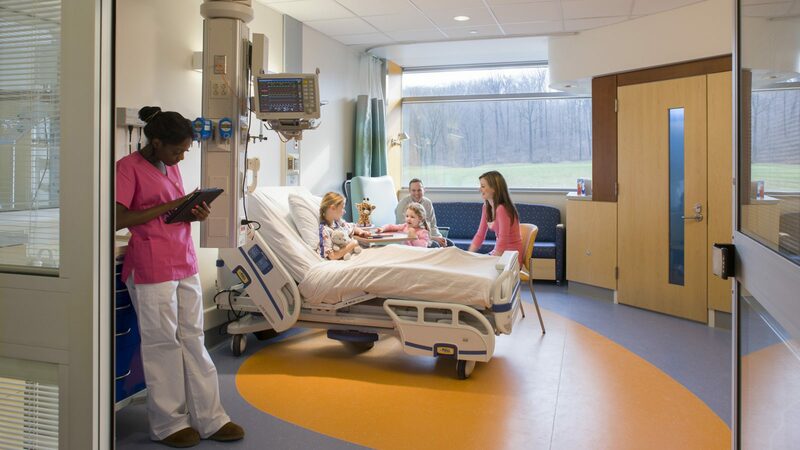 We have carefully choreographed how patients and families move through and experience the hospital. 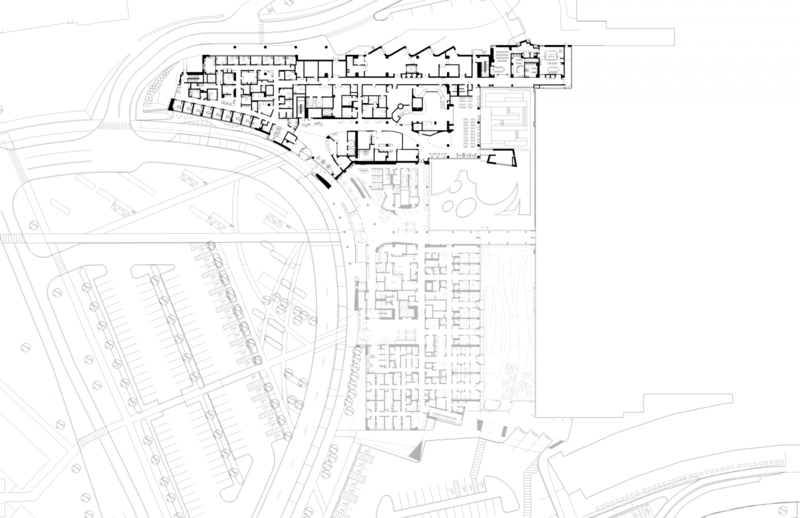 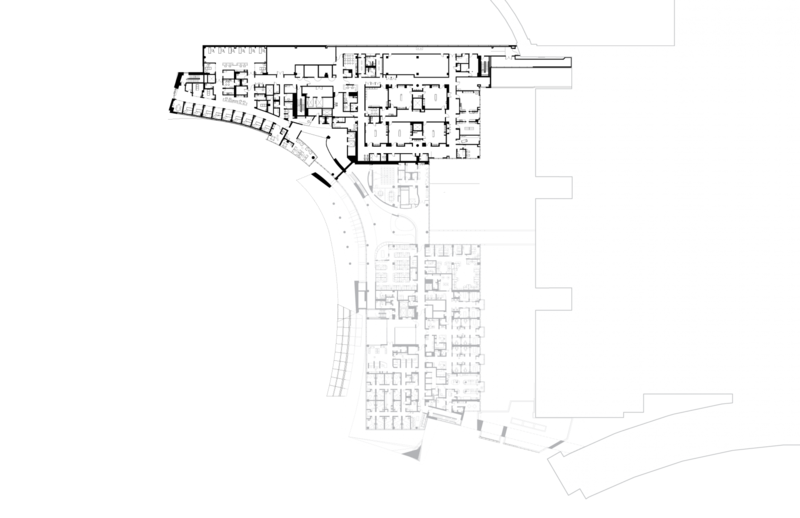 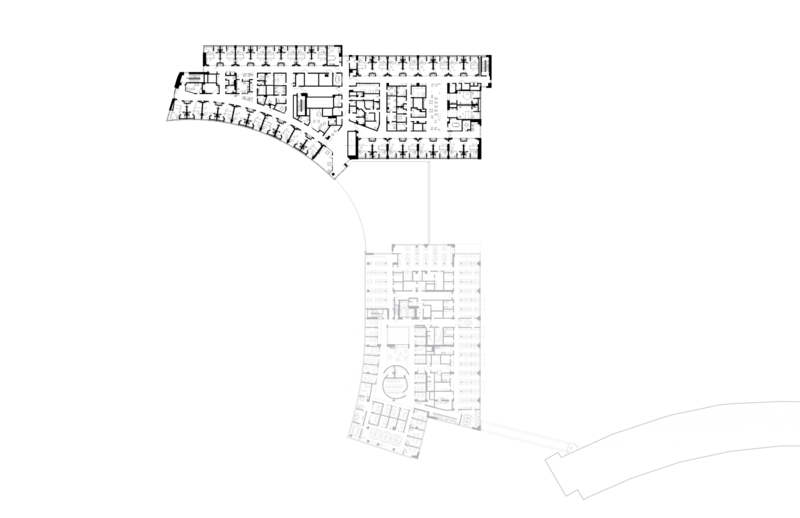 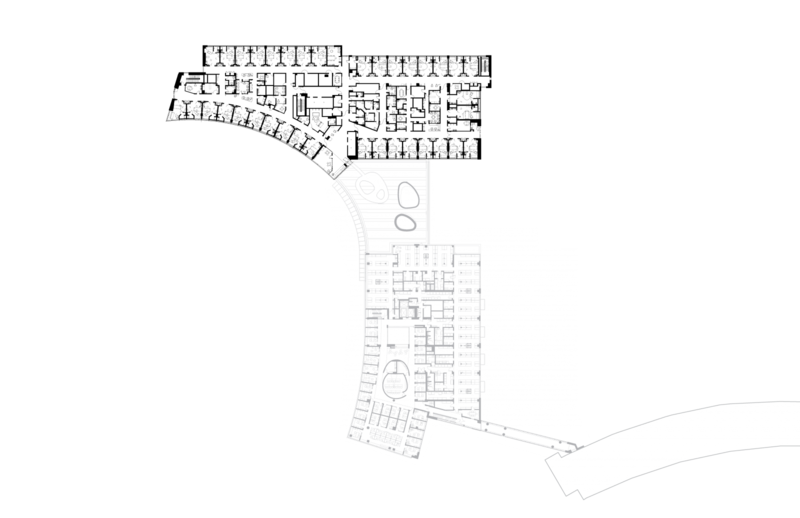 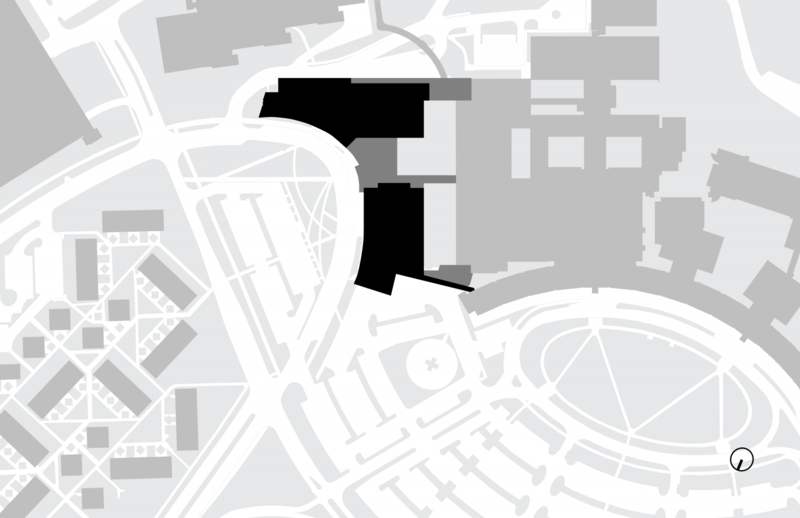 The first floor emphasizes movement, with sweeping pathways that carry visitors to a café, learning wall, meditation room, family resources, conference center, two gardens and a courtyard. 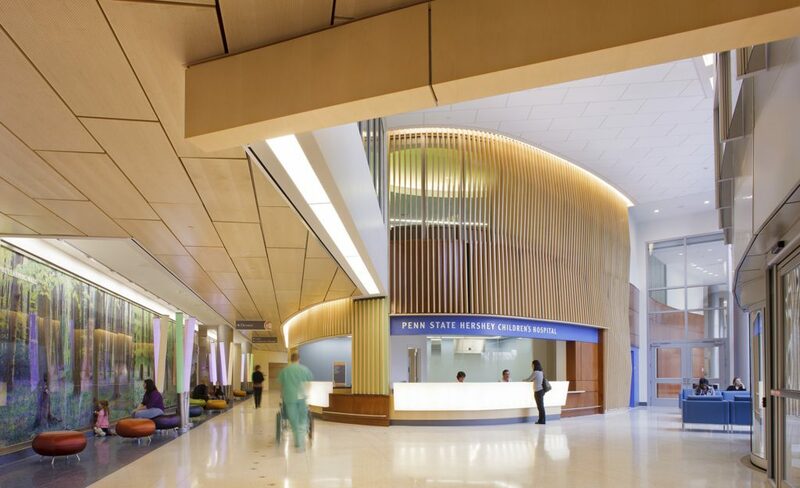 On the upper levels, corridors are designed as an extension of the patient rooms, conceived as streams with eddies. 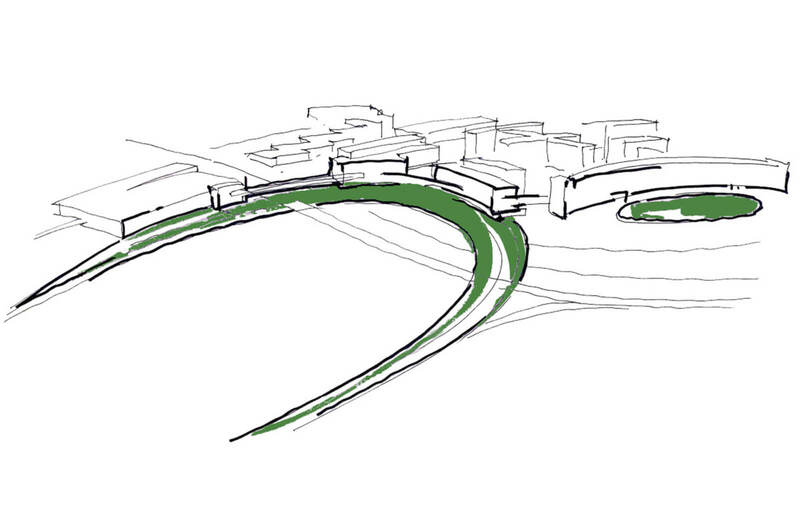 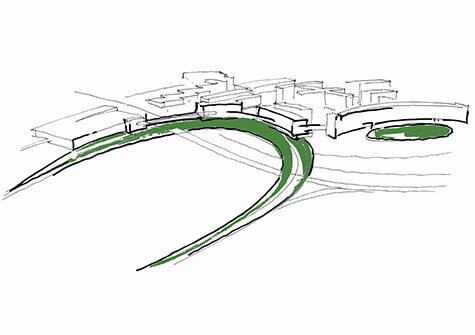 A main tributary curves toward a gathering area with waterfall-like, cascading glass, overlooking the campus. 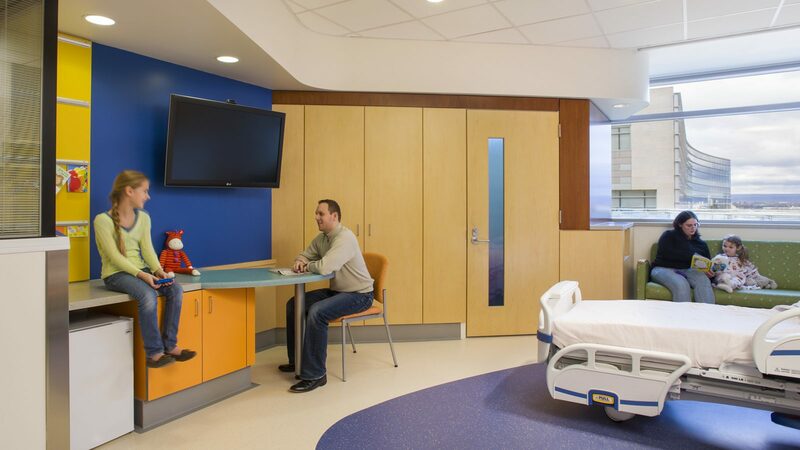 All patient rooms are private and are designed for easy repurposing, with little or no renovation, to accommodate different levels of acuity. 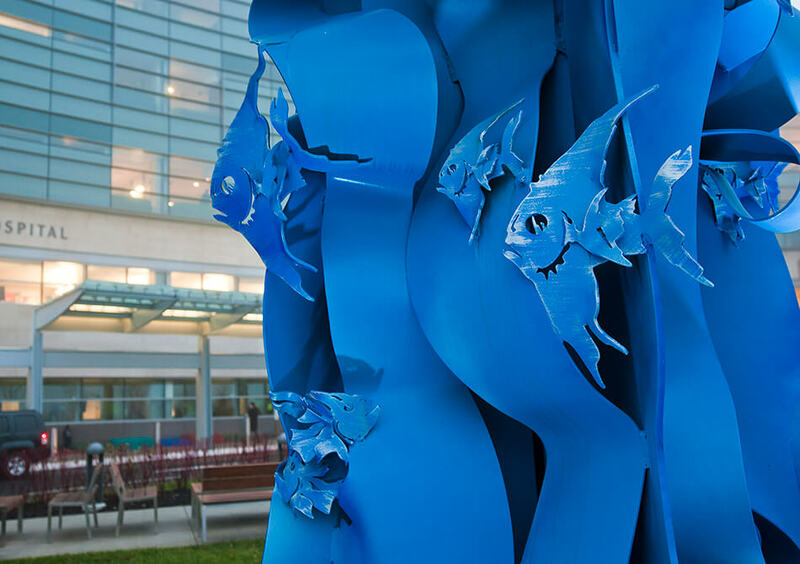 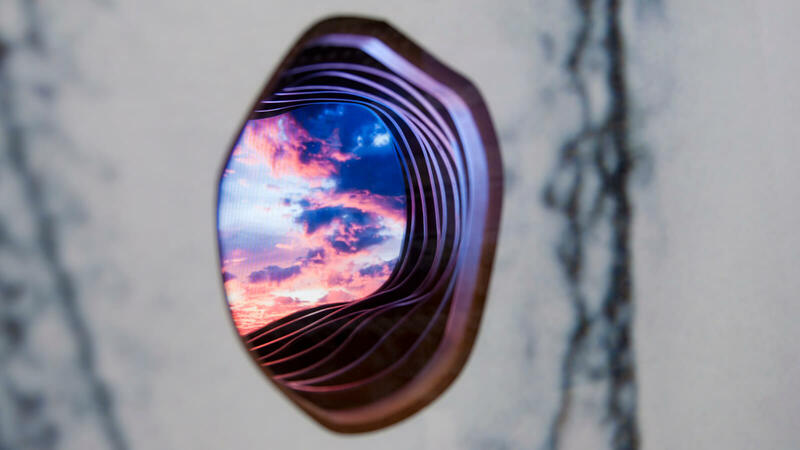 Building elements are unified around a recurring theme of nature through the use of images, color, form and texture. 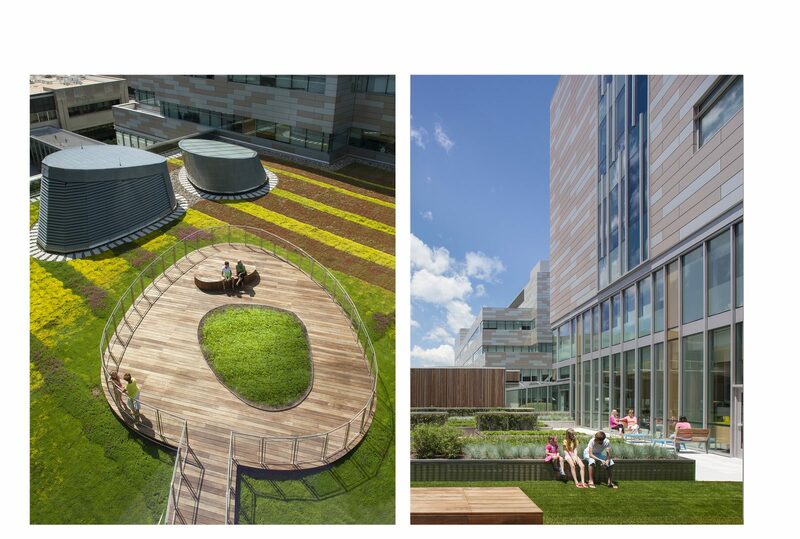 Special emphasis is placed on natural light and views of the surrounding landscape, which not only promote healing, but also clarify orientation and wayfinding. 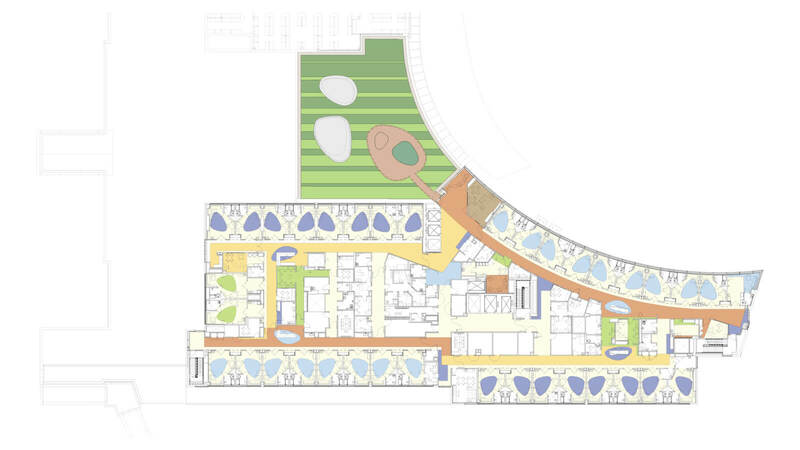 Throughout the hospital, views to courtyards and gardens make the surrounding landscape an ever-present part of the indoor experience for children and families. 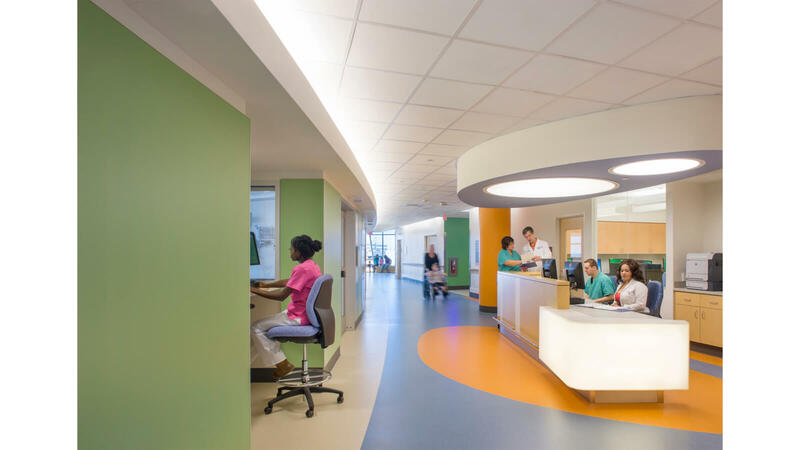 Children and families in central Pennsylvania will have a world class pediatric facility to match the comprehensive and compassionate care they have come to expect from us.